The truth is, there are many layers to this – and sadly, some are political. And in 2017, everything from hurricanes to football games have turned political. My views follow. I’m not going to judge you if you disagree. And potential employers, know that I would not veer into politics in a corporate setting. But I have some thoughts here. Las Vegas is my favorite place to visit. I’ve been there 4 times since 2000. Two of those trips have been bachelor parties (including my own this past spring). LV is a town that has something for everyone – gambling, shows, people watching, no open container laws – I challenge you to find someone who’s been there and didn’t enjoy it. At 36, my bachelor party looked a bit different than it would have at 26. 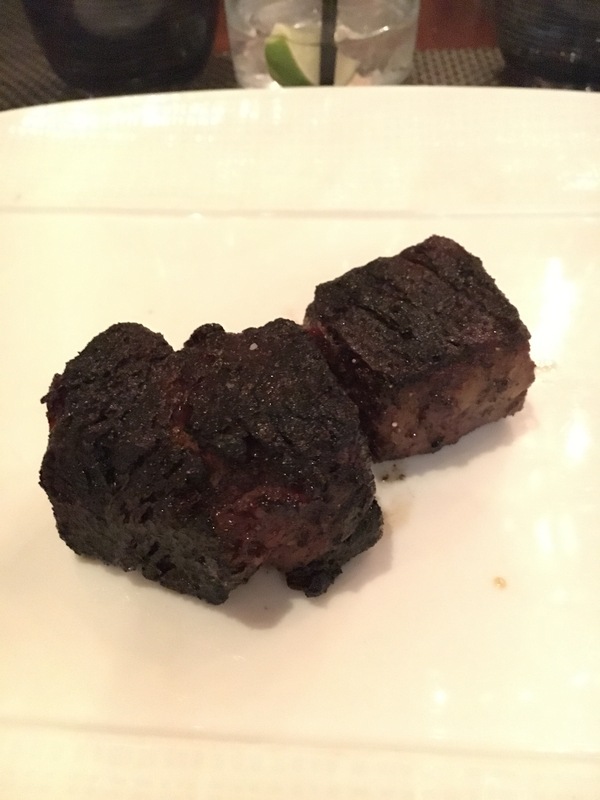 It did however, involve blackjack, craps, pool time, and the single best steak of my entire life, Japanese Wagyu beef from Wolfgang Puck’s Cut Las Vegas. Trust me, the picture doesn’t do it justice. Now, to the deadliest mass shooting incident in American history. There are so many layers to this. One thing I think most of us can agree on: Mental Health is still a taboo issue in this country and needs to be addressed. Whether the shooter (whose name I won’t mention) was disturbed, ill, angry, sociopathic, influenced by others, or some combination therein – nobody of sound mind opens fire on a crowded concert like that. More resources need to be devoted to the discussion and treatment of mental illness in this country. I’d hope that both sides of the gun debate can agree on that. I listened to some angry exchanges between my favorite morning show, Toucher and Rich on Boston’s 98.5 The Sports Hub this morning – as events like this amount to “throw out the rundown” days for morning shows of all formats. While I disagreed with the tone of the conversation, I agree with the hosts on a couple of points. I will never understand the need for a civilian to own a fully automatic assault rifle. Its only practical use is a military one. Just as the first amendment right to free speech does not include the ability to threaten our leaders or yell “Fire!” in a crowded building, I feel the second amendment should not include these illegal killing machines. Do you have a right to defend yourself, your family, and your home? Absolutely. But I don’t feel that you need the type of weapon that can hit nearly 600 people in under 4 minutes to do it. Another argument that I’ve heard: Citizens should be able to defend themselves against a tyrannical government. Again, I’m not sure what advantage a weapon like this carries over a legal rifle or handgun. As much as I can’t fathom the US Government coming to your home to kill you, you’re not going to match the military with your own personal arsenal. 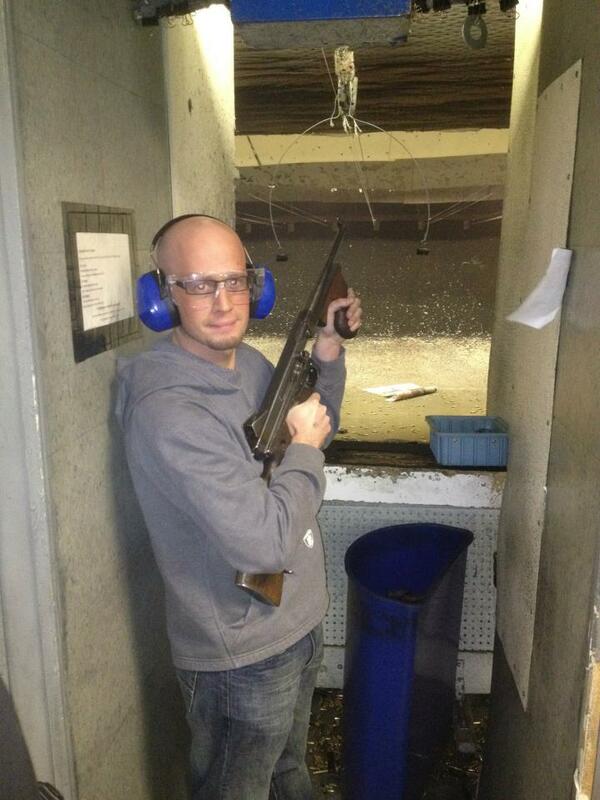 On a Vegas trip in 2012, I went to The Gun Store and played with an Uzi and a Tommy Gun, pictured below. I loved it – it was exhilarating. But I just can’t find a practical use for automatic weapons. Many will disagree with me, and that’s fine. So what needs to change? Well, as many have said, if Sandy Hook didn’t change anything, this probably won’t. I just wish there could be a bipartisan effort for common sense gun reform. No, a law wouldn’t have prevented this madman from raining fire down onto a crowd – but maybe it would stop other tragedies – like Sandy Hook maybe? We’re not coming for your guns, nor are we revoking the Second Amendment. But instead of everyone digging their heels in, a little compromise and good faith discussion might be a good start. The problem with your proposal is that there is no trust of the other side of the aisle. Any attempt to limit guns is seen as an attempt to eliminate them, and that’s partially because the other side pretty much would love to eliminate them. Same thing with abortion. Any attempt to regulate it is seen as an attempt to eliminate it, and for the same reason.